The Best Hog Roasts In The North East! 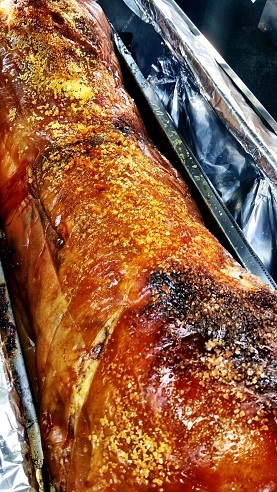 Being a well established caterers specialising in hog and spit roasts, we’ve been able to offer our services to many different clients and parties in Middlesbrough. 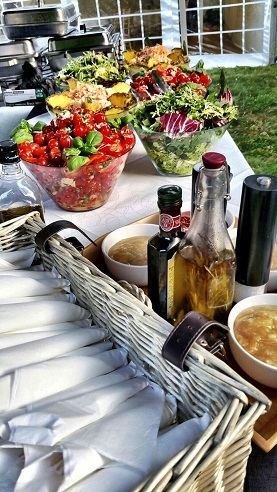 From catering at weddings and christenings, to catering for backyard BBQ’s. From pub beer garden parties to corporate hospitality gigs, we’ve done them all. So if you’re looking for corporate hospitality catering, you’ve come to the right place. As a hugely successful business ourselves we more than understand business meetings and their significance for you. Like you, we’ve also had meetings that don’t always go the way we’d hope. Which is why we’re privy to just how important it is to set a comfortable atmosphere and make a good impression on partners, future clients and colleagues. When you put your faith in us to cater for your meetings, Newcastle hog roast corporate fun days and other events, we go above and beyond our obligations to ensure the day is fully enjoyed and everything goes as well as it possibly could. 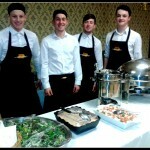 With decades of experience catering at events big and small, formal and informal, we’re in the best position to help you. We specialise in spit and hog roasting in Middlesbrough and surrounding areas(Darlington, Sunderland, Hartlepool, Stockton on Tees etc). 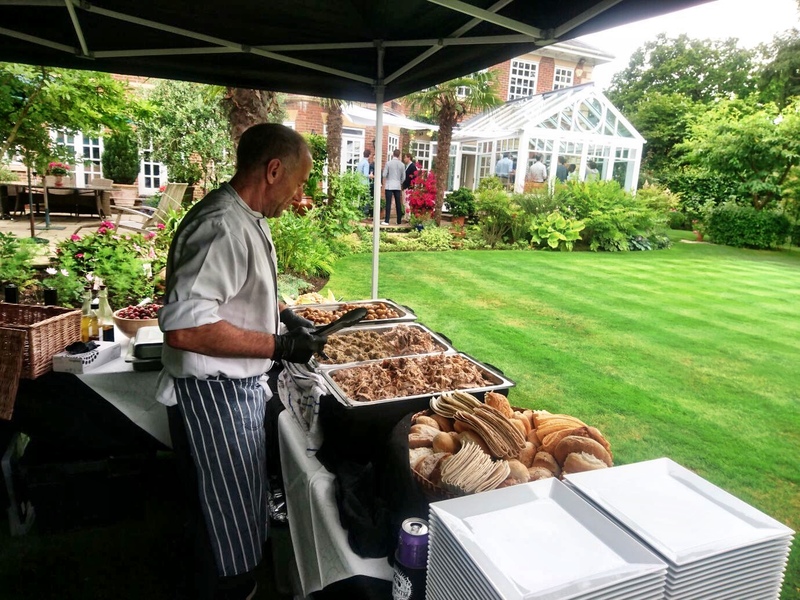 With our experienced staff members and expert chefs having worked events for hundreds of corporate companies, our hog roast catering is a fantastic way to create a grand focal point to entertain, impress and feed your colleagues and guests. We can cater for events big and small, at an array of different venues, indoor and outdoor. Our depth – and equally important, breadth – of experience in the catering services we’ve worked and continue to provide puts us in the perfect position to tailor and mould the environment of your event. It doesn’t matter whether you require us to cook and serve in the open and on display for all or in a more out of the way and discreet fashion, we do both well. It really doesn’t matter the size of nature of your corporate events, we’re more than equipped and happy to work any variation of events. That can be catering for a thousand people, or catering for 10, we’re confident in our track record and ability to take on any tasks required. So just what is hog roasting? Hog roasting is a much loved party or occasion where a large hog is slowly cooked on a spit, whole, over the course of a number of hours. Loved the world over, to the extent of predating the constructs of both nationality and ethnicity, hog roasting dates back hundreds of thousands of years and is popular to this day. Spit roasting is the method in which the hog is cooked, and isn’t exclusive to only pigs — Rotisserie, or Spit roasting, is a style of roasting meat in which the animal or cuts of meat are skewered on a spit(a long steel rod) and slowly cooked over a fire, or alternatively roasted in an oven. Many animals are typical for spit roasting, be it pigs, chickens, lambs or more rarely whole cattle! More recently, spit roasting is better known to many for cooking Doner kebabs at the local take away. Although the vertical spit used to cook doner meat is a little less common. As one of, if not the biggest Newcastle hog roast caterers in the United Kingdom, we have developed several unique spit roasting machines — all of them are specially tailored and manufactured by us to ensure our service is the best quality it can possibly be. All of our machines are capable of cooking a wide range of animals, meat cuts and even non-meats. Let us tell you why spit roasting is such a special – superior to the rest, even – way to cook meats and cater for your event attendees. If you recall earlier we made mention of the global popularity of the spit roast and the way in which the meats are cooked? Well, we’ll go into a little more detail. Our spit roast machines slowly cook the meat of your choice over the flames, rotating the animal round and round to ensure a finished product that’s both tender and juicy. You see, as the hog, chickens etc slowly spin and roast, it promotes a self-basting process that sets the meat apart from the rest. There’s many ways to cook meat, and many of them see the produce lose their natural juices and often dry out, but with the self-basting process this doesn’t happen. With the animal constantly spinning, rather than losing that natural goodness, the juices are constantly re-entering the animal from the top down, preventing a loss of moisture and natural fat that’s ever so common when grilling or traditionally oven cooking. The end result is mouth wateringly tender meat with plenty of delicious crackling to go around. The food is as good as you’ll taste, outstanding even. 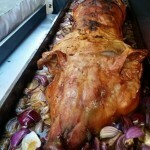 We value quality and go the whole hog with our catering service. Ethically and locally sourcing the best British produce on the market to compliment the quality of our machines and chefs, what you’re given is a service that sees most clients come back to us, time after time. Planning a corporate event can be stressful at the best of times, but as it’s something we’re involved with every day of the year, we’re practically immune to it and more than happy to shoulder the stress and do our bit beyond the actual hog roasting. Our staff are trained and fully experienced in organising events, because of this we’re more than happy to help you with your event as best we can — whether helping with marquees, mobile bars or seating, we’ll do our bit to ease your work load. Why not get in touch today? 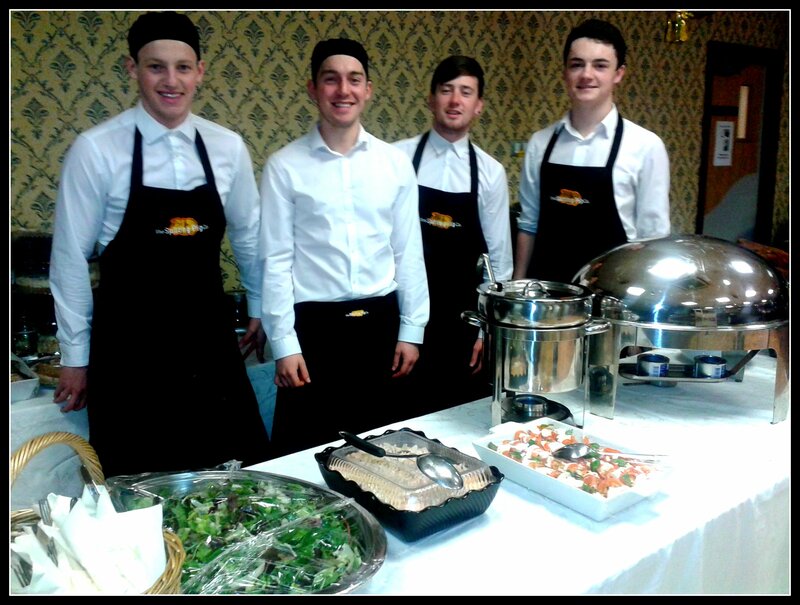 We’d love to work with you and look forward to providing you with a catering service beyond compare. If you have any questions or general concerns — however big, or small — just give us a quick call. We’re here to help. We began as a small catering business based in Yarm and used our years of experience in the industry to development a small, friendly hog roast catering team and started to cater for small parties and events in our home town. Our excellent reputation quickly spread and more people became interested in booking our hog roasts and barbecues for their special occasions. Over time we started to expand taking on extra members to join the team. 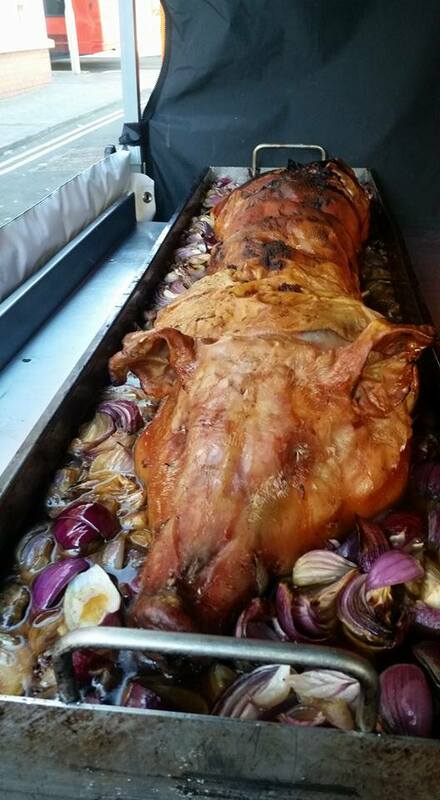 We trained them up to our high standards and shared with them our extensive knowledge of the hog roast catering industry so that we had a full team of highly qualified hog roasters. After this we began to venture into new areas and once again our reputation grew and grew until we were popular throughout the North East region. Like the river Tyne itself we also flowed through our homeland our popularity increasing more and more with every event. Bound by ties as strong as that of the tightest family unit, we offer hog roast catering which is guaranteed to do more than please. Having been a catering firm in active service for over 22 years, we have undertaken magnificent catering at parties so outlandish they cannot be documented here! So trust us, whether your party is a red-carpeted event (of which we’ve catered for many), or more geared towards a less formal event teeming with intimacy and personable grace, our team of experienced Hog Roast caterers based in, Newcastle, Sunderland, Middlesbrough, Gateshead, Darlington, Durham, Morpeth, Yarm, Billingham, Saltburn, redcar, stockton on tees, Hexham and South shields will deliver a service like no other. Having been born and raised in the friendly atmosphere of the North East, our management have more than just a business concern in this region. With a love for the area we come from, our mission at the start of our catering venture is echoed in our approach today; that of bringing sensational food to the people of the North East, a place which we feel is the embodiment of personality and spirit, irrespective of wealth, prosperity or the inadvertent lack of either of the above. With a long family history set within the trade of catering, our decision to adopt the seeming stance of the sole respectable promoter of the hog roast as a crux of a precision catering service came from a chance experience whilst abroad. During a sabbatical, one of our head chefs found that the way in which the ‘ranchers’ of the North East slowly roasted their meat, even though the beef was relatively poorly seasoned, created a taste that was superb. Allowing the meat to cook slowly and in its own juices, the self basting nature of the spit roast facilitates a taste that can be found nowhere else.